The Disruptors: Best Rap Album Nominees Bask In Hip-Hop's Digital Dominance : The Record The nominees in the Best Rap Album category show how hip-hop has, across multiple platforms from video to streaming audio to crowd-funding, come to own the Internet. The Recording Academy changed its rules this year to make streaming-only albums eligible for Grammy Awards. Chance the Rapper, who released his mixtape, Coloring Book, on Apple Music in May, is up for seven awards. Hip-hop's relationship with the Grammys began with a mutual dis. The year was 1989 and the Recording Academy, in recognizing the genre for the first time, decided rap's revolution would not be televised. Will Smith, then known by his stage moniker the Fresh Prince, took it as a "slap in the face," the rapper said at the time. He and DJ Jazzy Jeff's cuddly hit "Parents Just Don't Understand" went on to win the inaugural rap performance category, beating out industry peers J.J. Fad ("Supersonic"), LL Cool J ("Going Back to Cali"), Kool Moe Dee ("Wild Wild West"), and Salt-N-Pepa ("Push It"). But they weren't present to collect their award. Along with LL and Salt-N-Pepa, Jazzy Jeff and the Fresh Prince boycotted the big show. Nearly 30 years later, the Grammy Awards have yet to get hip (replacement surgery). The bad rap is warranted when it comes to the Academy's near-perennial failure to acknowledge the genre's most deserving acts. The only thing worse than the blatant omissions over the years has been the clueless inclusions — particularly in the 21-year history of the best rap album category. Exhibit A: It took OutKast three classic LPs to earn a nomination (not including the group's debut, released before the category was introduced in 1996), yet in 2015 the universally-panned Iggy Azalea got a nod fresh out the box. And poor Macklemore. The dude is still living down his 2014 win over Kendrick Lamar's classic major-label debut, Good Kid, M.A.A.D. City. He apologized to Lamar for that win; this year, he declined to even enter the race for his follow-up album, This Unruly Mess I've Made, for consideration. Swayed by commercial juggernauts and great white hype more often than critical acclaim or street fame, the stars rarely align to produce such undisputed winners as Eminem (The Marshall Mathers LP), Kanye West (College Dropout, Late Registration, Graduation, My Beautiful Dark Twisted Fantasy), or Lamar (To Pimp a Butterfly). But this year may be different. Despite a wack record of consistency, the rap albums category casts a wider net than years past. Plus, it summarizes one of the biggest trends in the industry. In wildly divergent ways, five of the six nominees — Drake, Chance the Rapper, West, DJ Khaled and De La Soul — collectively tell the story of hip-hop's digital dominance and disruption in 2016. One thing's for certain: They don't want DJ Khaled to win. When the radio personality-turned-superproducer made the cover of Bloomberg Businessweek last March, the online headline read, "How Snapchat Built A Business By Confusing Olds." Khaled, then 40, appeared in the accompanying photo looking slightly perplexed himself. Becoming the King of Snapchat is a #majorkey to Khaled's nomination. With a personality as seismic as his anthems, the radio personality-turned-superproducer gained around six million followers in six months. He posted everything on the social media network from "major key" affirmations to his misadventures while temporarily lost at sea one night on a jet ski. By fashioning himself into a ubiquitous digital presence, he expanded his fanbase and attracted a younger demographic. It's translated to real currency in today's attention economy. Already bigger than life in hip-hop, he suddenly became recognizable by soccer moms — and surely some of the Recording Academy's voting bloc. It reflects a new industry reality in which music is viewed less as viable product than promotional. In such an environment, the king of self-promotion is already the winner. Bless up. If history is any indicator, Drake's a no-brainer. The Grammys love a crossover star. And nobody crossed over in 2016 like the Golden Child. The numbers don't lie and he racked them up across multiple platforms. In addition to being named the most-streamed artist in Spotify history last year — with more than 4.7 billion streams in total — Views and "One Dance (feat. Wizkid & Kyla)" reached No. 1, respectively, on Apple Music's top albums and songs lists for 2016. Those rankings further magnify hip-hop's distinction as the most popular genre in the world, according to analytics released by Spotify in 2015. The album cover of Views, featuring Drake sitting atop Toronto's Canadian National Tower may have turned out to be a photoshop fake job, but the 6 God's digital reign is real. No one in this category had a crazier year than 'Ye. The floating-stage tour rants. The wifey Kim K's diamond heist. The blue contacts and rainbow sherbet hair dye. The speculation fueled over his mental state. The hospitalization attributed to exhaustion. And, lest we forget, the puzzling Donald Trump photo op. Dude was all over the place. Maybe we should've seen it coming, considering the erratic and unprecedented rollout of The Life of Pablo. By design or disaster, Kanye wound up creating a new paradigm for digital albums: the neverending work-in-progress, enabled by access restricted to streaming platforms. Leave it to the producer whose signature sound revolved around manipulated soul samples to stretch the limits of streaming technology. "Ima fix wolves," he tweeted the day the album was released exclusively on big bro Jay Z's Tidal platform. Little did we know at the time that his tinkering — whether substituting a new chorus here, or adding a new song there — would amount to a listening experience as annoying as it is groundbreaking. Kanye's Frankenstein-like approach to patching together an album well beyond its release date extended the life of the project. "Life of Pablo is a living breathing changing creative expression. #contemporaryart," he tweeted a month later. No doubt. As the first artist of any genre to receive a Grammy nomination for a streaming-only release, Chance the Rapper has already made history. 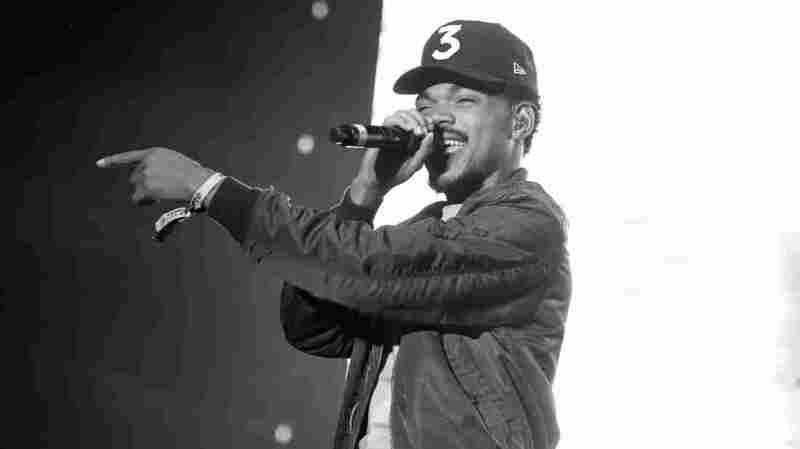 He's up for seven awards, including best rap album, though Chance prefers to call Coloring Book a mixtape. It's more than semantics. The distinction between the two has blurred in recent years as artists such as Drake and Future have released mixtapes that contractually count as studio albums. For too long, the culture allowed industry dictates to distinguish a mixtape of original material from an album simply because a major label wasn't profiting from the product. But with mixtapes increasingly surpassing the quality and popularity of label releases, thanks in part to their availability via digital distribution channels, the industry is trying to get in where it fits. The funny thing is how Chance, who shows no signs of relinquishing his independence, has become a digital darling. His two-week exclusive stream on Apple Music made Coloring Book the first streaming-only album to crack the Billboard 200. Instead of making money from album downloads, he relies on tours, merchandising and deals with the likes of Apple to generate revenue. He's designed a new blueprint for artistic control while simultaneously being the populist favorite. The Recording Academy literally rewrote its rulebook for him, so his chance of winning is pretty strong. De La Soul's first new album release in 12 years has the honor of being the first digitally crowdfunded hip-hop album to earn a Grammy nod. The group raised $600,000 via Kickstarter, six times more than its original asking price. The oldest act in the category, De La's inclusion is ironic for altogether different reasons. This is the same group whose classic back catalog remains in limbo, unavailable on digital platforms, due to the prohibitive costs associated with their classic sample-heavy LPs. De La's 1989 debut, 3 Feet High and Rising, contains more than 60 samples, and those that were cleared were done so via agreements that predate digital streaming. Making them legal for today's market could require costly renegotiations with copyright holders that Warner Music, current owner of De La's back catalog, has declined to pursue. To add another wrinkle, the group produced And the Anonymous Nobody by recording 200 hours of material from their road band, Rhythm Roots Allstars, then sampling it to construct backing tracks. You'd almost have to be a De La fan to appreciate the unintended wit. Oddly enough, the wild card in this category isn't a digital disruptor at all, but an artist whose release pretty much followed the traditional model. Easily among the top rap albums of 2016, Schoolboy Q's Blank Face LP is also a breakout release for Q, an MC whose evolution has been woefully overlooked in part because his TDE labelmate, Kendrick Lamar, has emerged as the most important rapper of his generation. But being "the yin to Kendrick's yang," as Pitchfork called him upon the release of his latest LP, comes across in superb fashion on Blankface. He's a grown-man gangsta with a sense of humor and self-effacing honesty. In a sense, a win for Schoolboy could be viewed as a win for the entire vanguard of off-brand, underrepresented artists who found ways to circumvent the mainstream in 2016 — from Detroit's trippy outlier Danny Brown to Atlanta's rising anti-hero 21 Savage to Chance the Rapper collaborator and Chicago ingenue Noname. Then again, I'd be less surprised if Schoolboy decided to play hooky from the Grammys altogether.